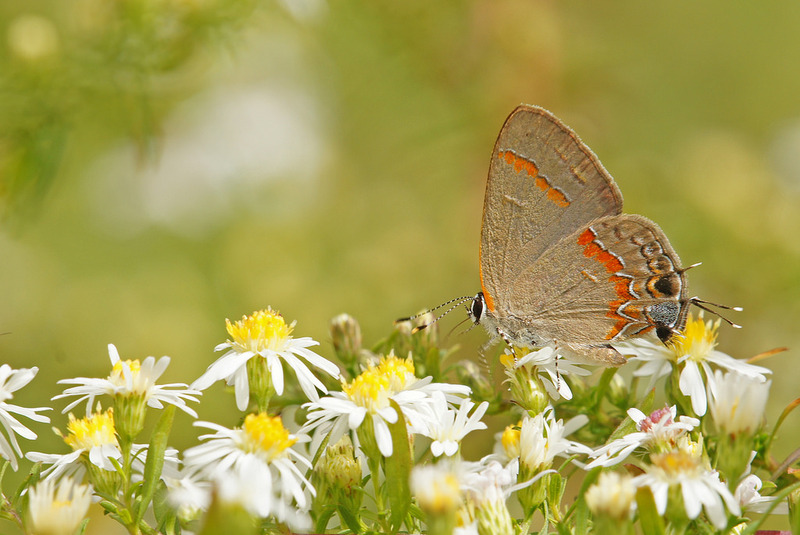 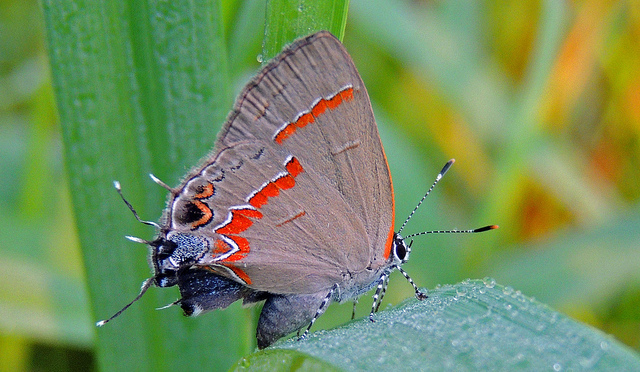 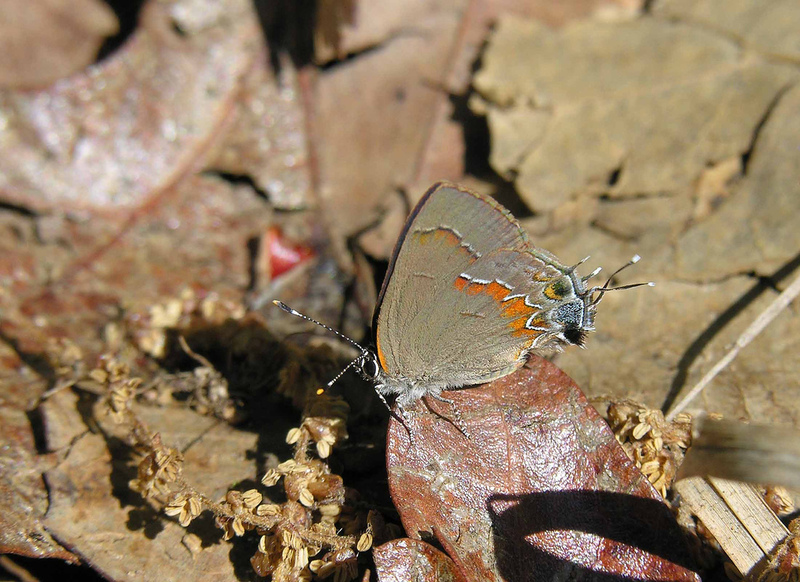 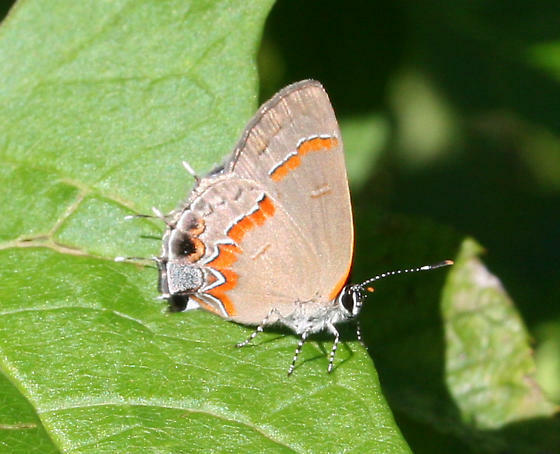 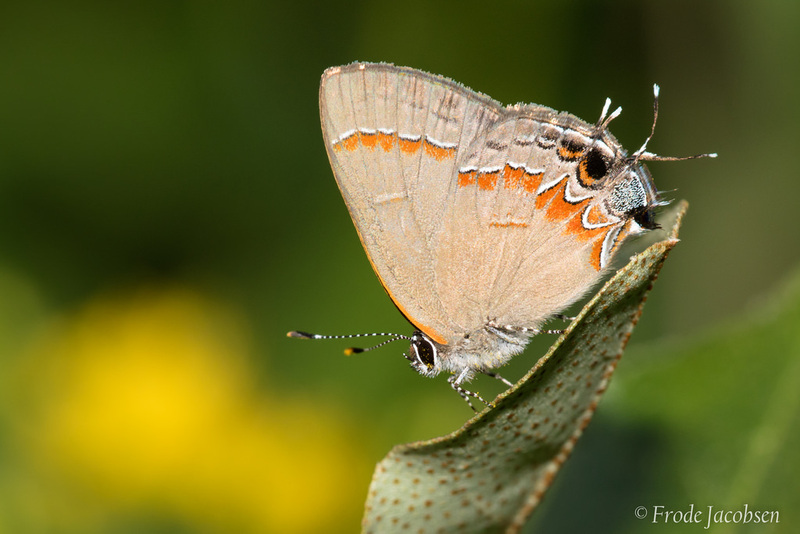 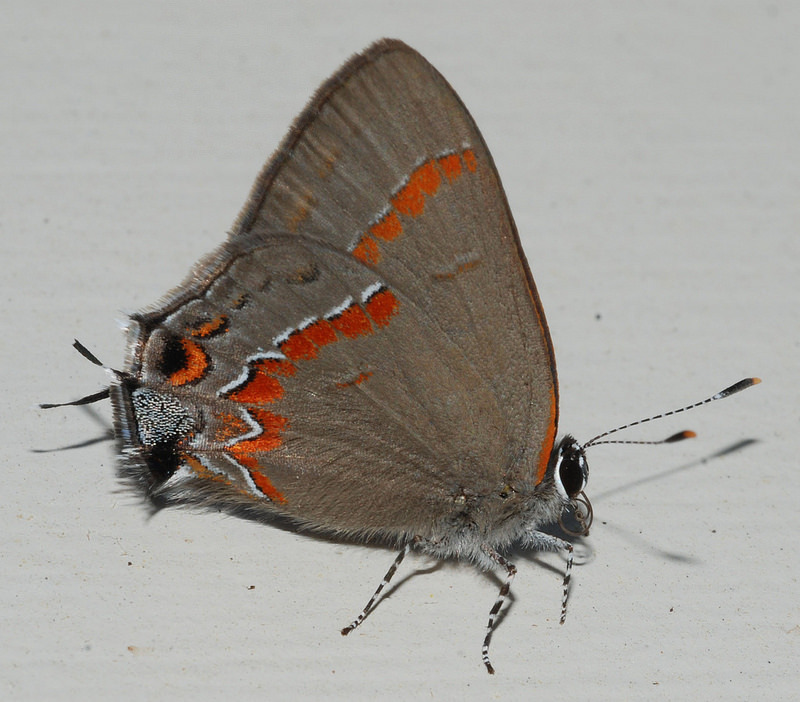 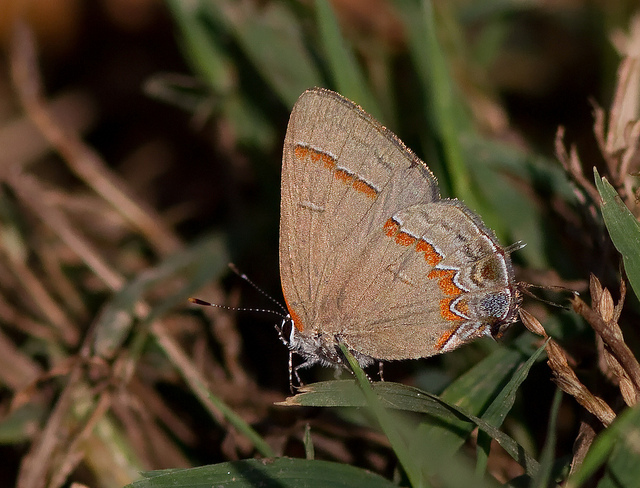 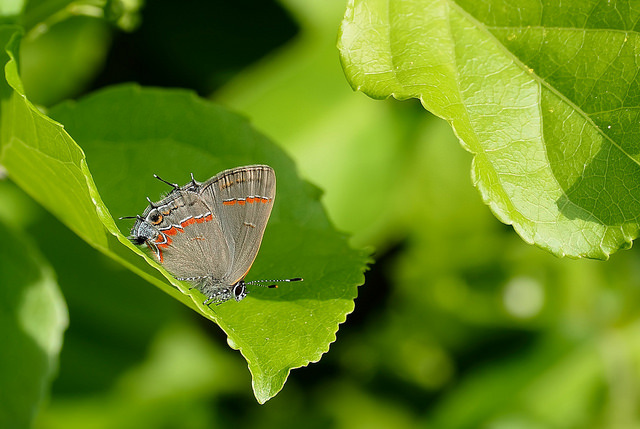 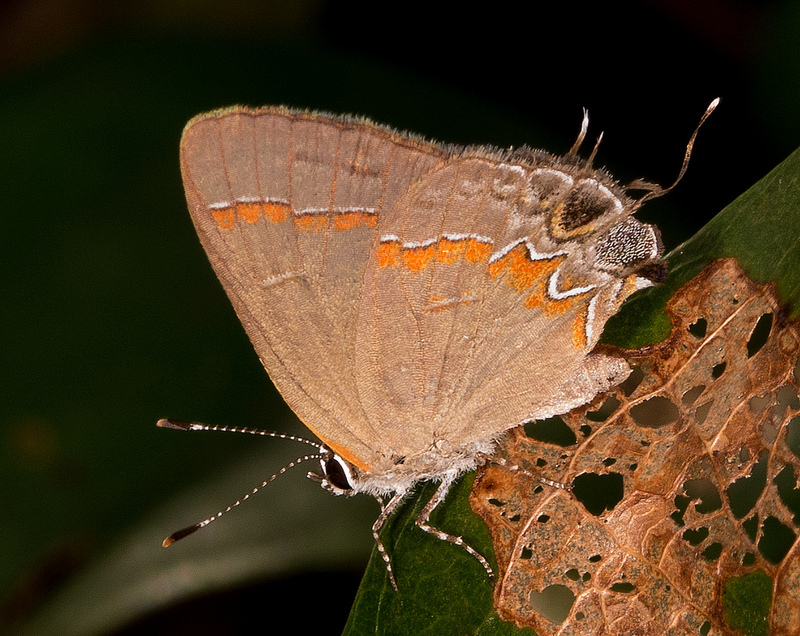 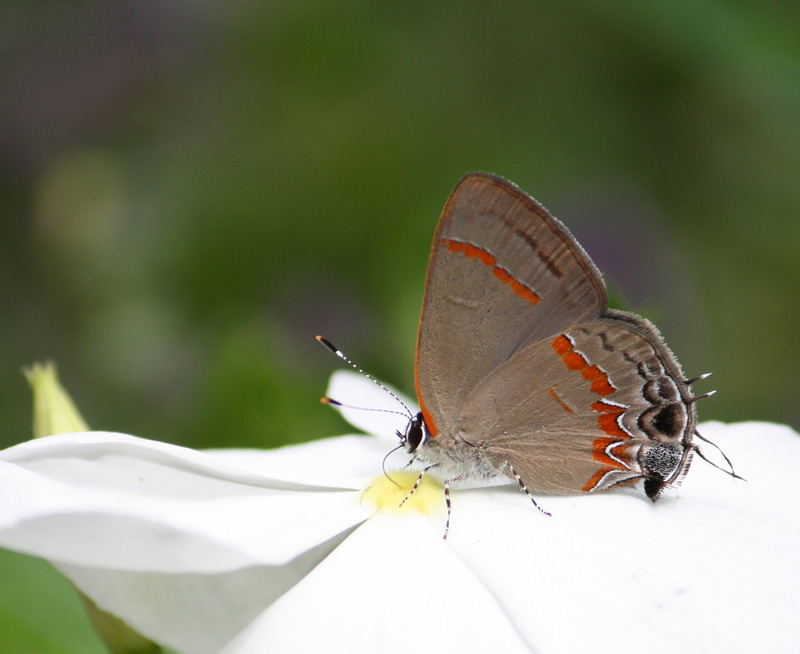 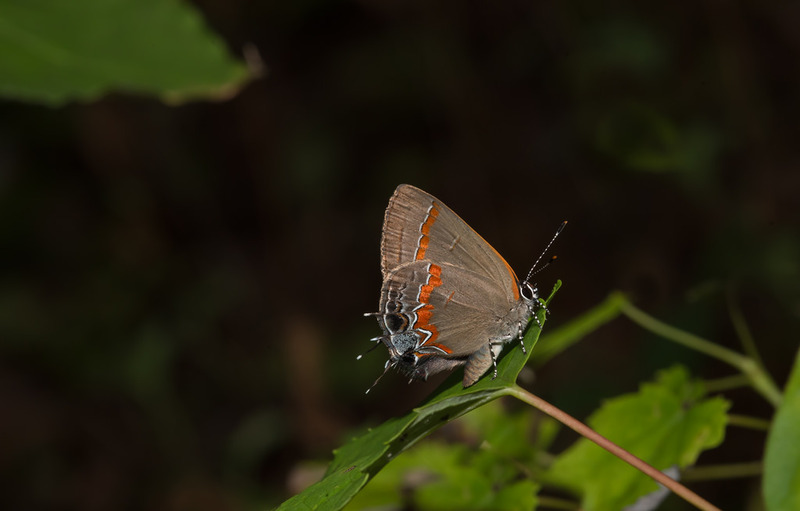 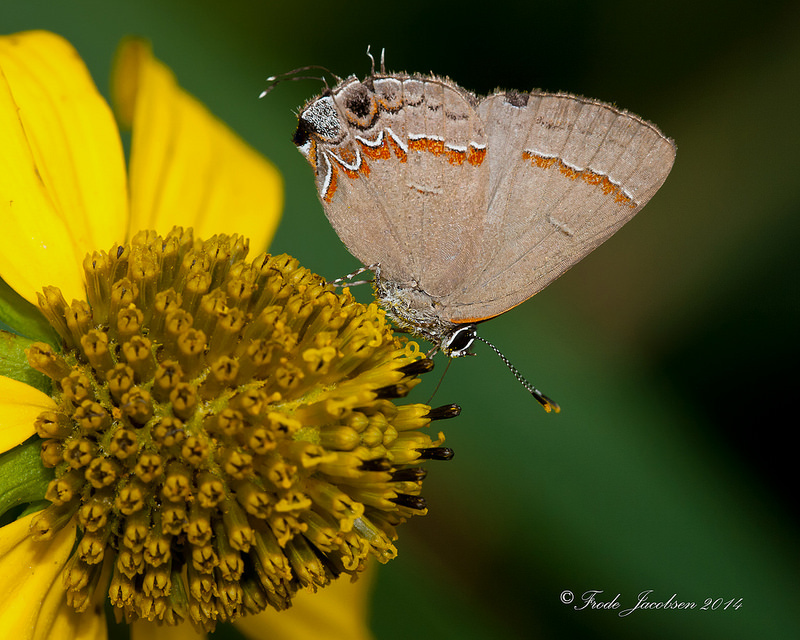 The Red-banded Hairstreak (Calycopis cecrops), the northernmost representative of a mostly southern or neotropical genus, is a vividly-marked and striking butterfly, with bright reddish-orange bands on its wings. 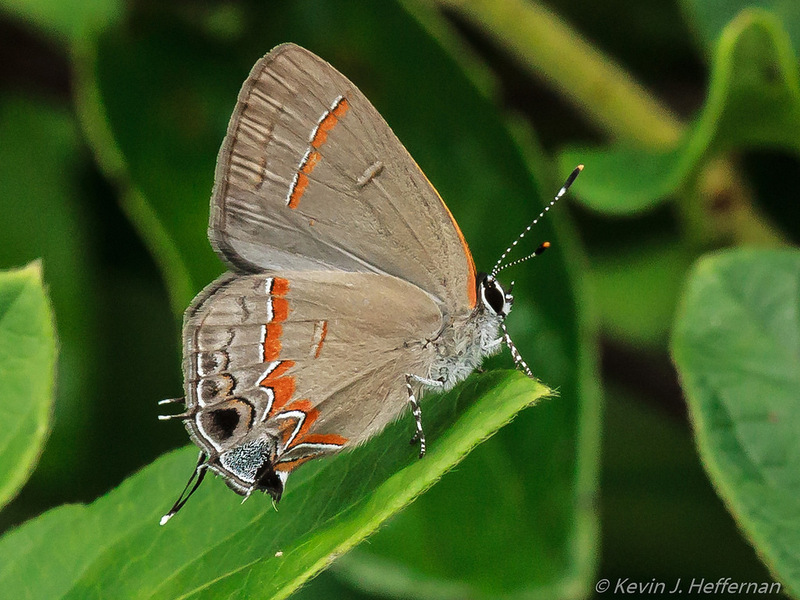 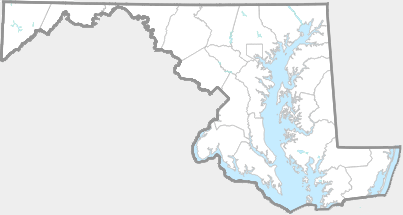 This distinctive butterfly is found through most of Maryland, where it has a long flight period, starting in mid-May, with a second brood appearing in August (Butterflies of Maryland: A Biological Summary and Checklist by Lynn Davidson & Richard Smith). 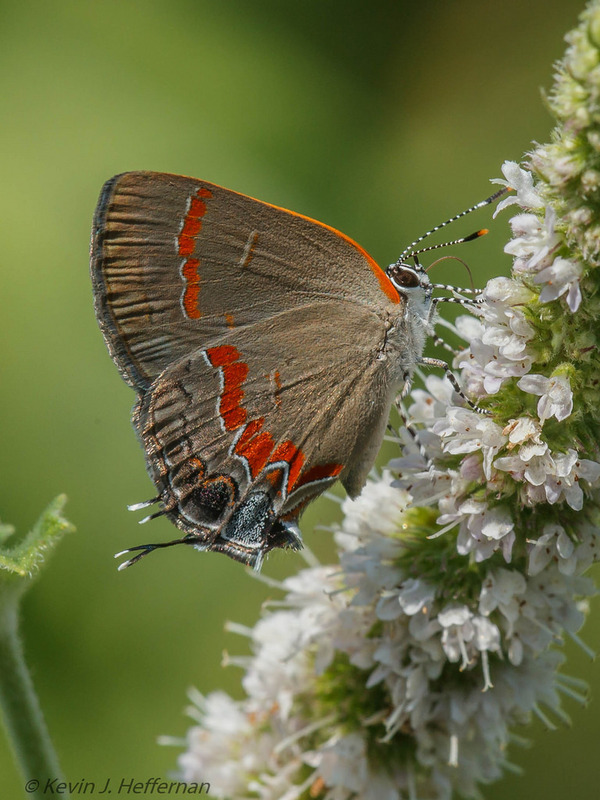 Host plants include Winged Sumac (Rhus copallinum) and Staghorn Sumac (Rhus tiphina) (Database of World's Lepidopteran Host Plants). 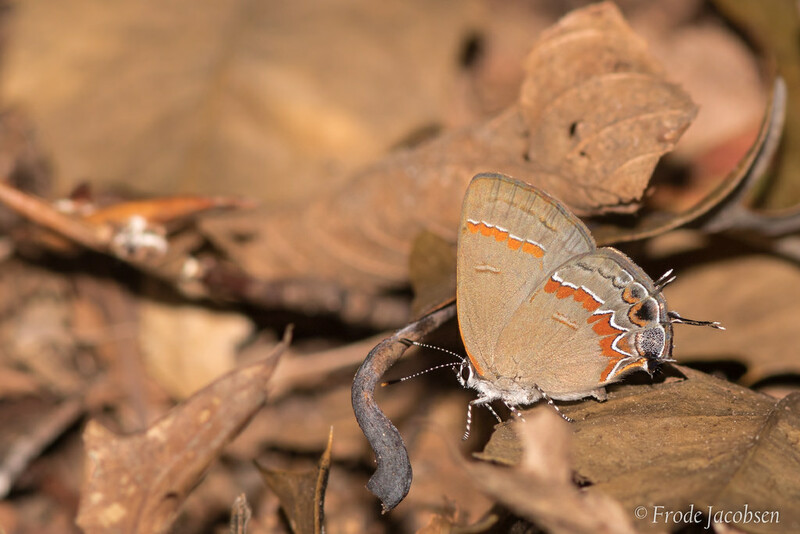 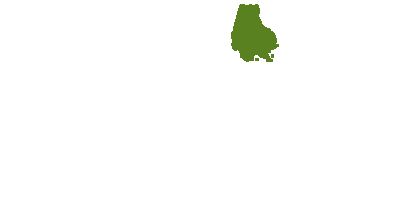 Apparently, the larvae often show a marked preference for the rotting leaf detritus beneath the host plants. 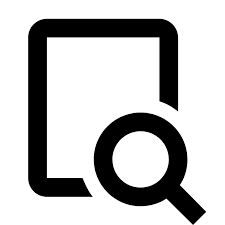 There are 269 records in the project database.